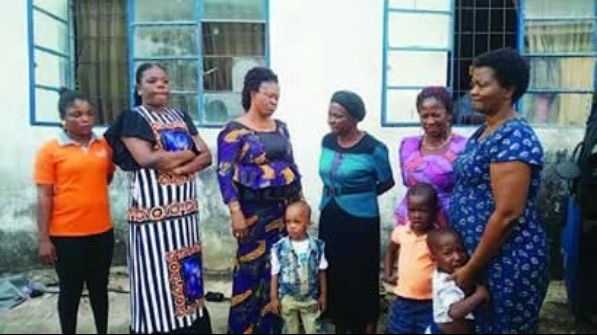 The Imo State Police Command has arrested a six-woman-child-trafficking gang who specialize in stealing children from churches and selling to prospective clients. Suspects arrested include Ijeoma Eboka, Irene Ogbuehi, Chinyere Mark, Perpetua Dike, Lilian Asoluka, Grace Ogueri and Edith Ejiaga, as it was gathered that leader of the gang, 32-year-old Nnenna Njoku uses her 10-year-old daughter, Chinecherem Onyejiaka, to lure children out of churches and homes. Speaking to Punch correspondent, the State’s Police PRO, Andrew Enwerem, said the number of children missing in the prime suspect’s area of operation was nine. “The prime suspect confessed to stealing three children. The other suspects were arrested and they made confessional statements, which led to the recovery of three children – Ezinne Nwosu (4), Chimjindum Felix (3),and Rejoice Ezirim (3). The leader of the gang, Nnenna Njoku who confessed to being a divorcee and mother of five children, revealed that she made N380,000 from the sale of the three children to Eboka, an indigene of Delta state, who she met at different meeting points in Anambra State, who sold them to waiting buyers.